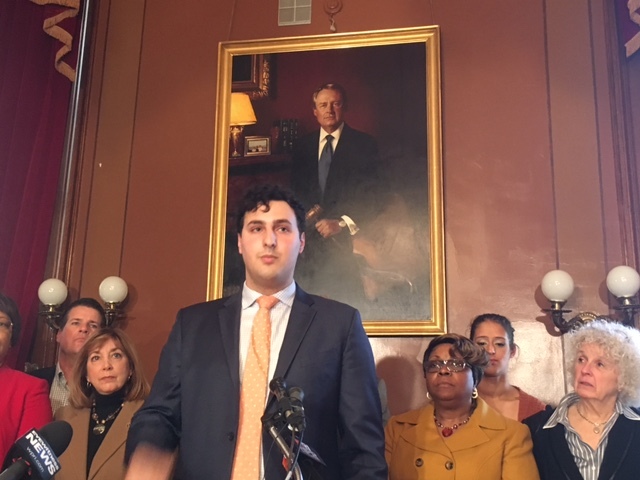 Former state Rep. Aaron Regunberg, who lost a close primary race last year for lieutenant governor in Rhode Island, is joining Providence Mayor Jorge Elorza’s administration as a senior adviser on policy. “I'm excited to work with the Elorza administration to push major progressive policy priorities in Mayor Elorza's second term, focusing particularly on affordable housing, universal pre-K, and criminal justice reform,” Regunberg wrote in an email. Regunberg, 29, served two terms representing Providence in the Rhode Island House after first winning election in 2014. He challenged Lt. Gov. Dan McKee in a Democratic primary last year, and won 48.9 percent of the vote. The new role for the former state rep is mutually beneficial for the Mount Hope resident and Elorza. Regunberg, who faced campaign season criticism for a thin work history, gets to bolster his professional credentials, while Elorza gains an adviser familiar with the politics of the Statehouse who got House Speaker Nicholas Mattiello to support some of his priorities. Regunberg described his new job at City Hall as a continuation of his advocacy for progressive politics. Regunberg said he will continue in the Providence job after starting classes at Harvard Law School next fall. And he’s keeping an eye on making another run for office in 2022. Regunberg during a 2017 news conference at the Statehouse.